Mark Horton is a specialist in the archaeology of historical societies around the world. Mark was educated at Cambridge University, and has a PhD (1984). He is a fellow of the Society of Antiquaries. His research focuses on historical archaeology, historical landscapes, maritime landscapes, long distance trade and social responses, early spread of Islam and Christianity, archaeology and the media. 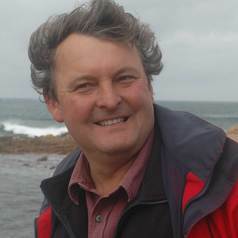 He has undertaken archaeological research and directed excavations in East Africa (Kenya, Tanzania, Comoros Madagascar), Egypt, mainland Central America (Panama, Honduras, Belize), island Caribbean (St Kitts, St Lucia, Cayman Islands), Bermuda, Sri Lanka, as well as England, (mostly Shropshire, Gloucestershire, Somerset), Isle of Man, Ireland, and France. His current projects include survey and excavation on Hatteras Island, North Carolina, the Sealinks project, the Songo Mnara Project (Tanzania), the Upper Kherlen Valley survey (Eastern Mongolia) and the Berkeley Castle Project (Gloucestershire, England). He works regularly with radio and television. He is one of the team of expert presenters for the BBC2 Coast programme (on air since 2005) and Inside Out (BBC1).